In 2018, we hosted two Wayfinder Institutes at Stanford University and Brown University with 93 educators from 55 schools/organizations across 17 states and 8 countries. 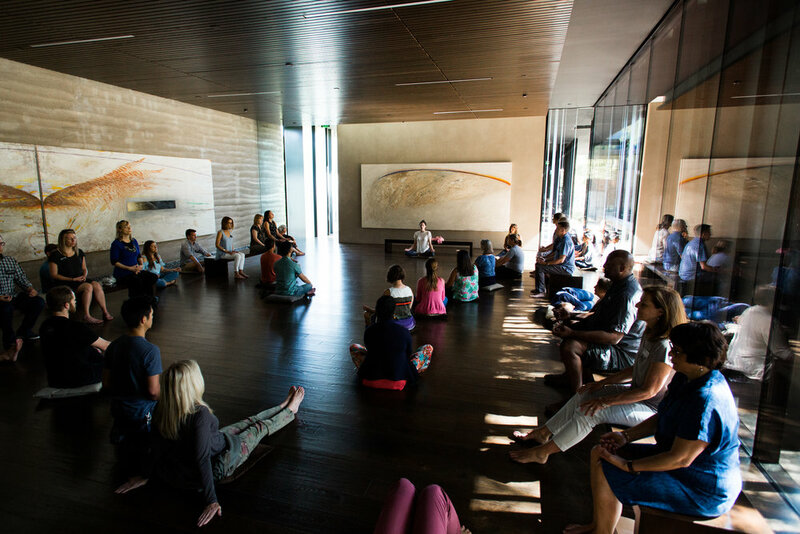 This year we invite you to join us at our two 2019 Summer Institutes, and are pleased to offer a NEW all-inclusive residential option (4 days, 4 nights) at our West Coast Institute, located just north of San Francisco where participants can enjoy a retreat amidst Marin County’s rolling hills and coastline. Attend our 4-day training at Wayfinder’s partner, San Domenico School, featuring speakers from Stanford d. School and Stanford Center for Adolescence. Bonus residential option available! Extracurriculars: Walk out the school doors into miles of majestic hiking trails, drive 30 min to Nor Cal beaches or venture into vibrant San Francisco. Extracurriculars: Enjoy exploring the rich history of Durham, Chapel Hill and Raleigh area. Take a tour of the Duke, UNC, or NCS campuses, which make up the three anchors of The Research Triangle. The 2019 Wayfinder Institutes are being hosted by independent schools, but educational organizations of all kinds are encouraged to apply! Explore our current school partners list of the 64 public, charter, catholic, independent, non-profit, after-school, homeschool and international programs successfully implementing Wayfinder in their classrooms. Upon completion of this training, you will be equipped with strategies, tactics, and skills based in social emotional learning, project based learning, design thinking + 21st Century Skills that you will be able to integrate directly into your school/program’s community. The program is open to high school educators. We have trained advisers, administrators, counselors, teachers, coaches, and more. Wayfinder Institutes are ideal for training 2-7 educators from a school or program. We highly encourage schools to bring at least one teacher and one school leader - we find that this helps with integrating Project Wayfinder into your school/program’s community. Priority for admittance will be given to teams with one school leader and one teacher or more. If you are interested in training 8 or more educators from your school/program, consider hosting an On-Site Training at your school. We encourage you to apply early; we will be reviewing applications and making decisions on a rolling basis. Priority will be given to early applicants. Enrollment Fee: $1100 USD. Includes lunch and snacks. Please note: lodging and dinner are not included. Enrollment Fee: $1100 USD. Includes lunch and snacks. Bonus residential option: pay additional $550 for all-inclusive 4 days, 4 nights that includes all meals (breakfast, lunch, dinner), and dormitory-style lodging in double rooms for four nights.